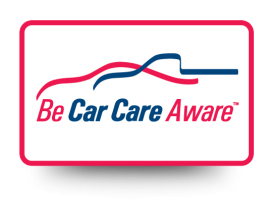 Place this sticker in your shop window or on your shop door to show customers you are part of the Be Car Care Aware program and committed to consumer education. These name patches (sold in packs of three) can be sewn on your uniform to show customers you are part of the Be Car Care Aware program and committed to consumer education. 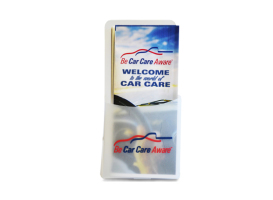 This plastic holder featuring the Be Car Care Aware logo is the perfect way to display Service Interval Brochures on your counter. 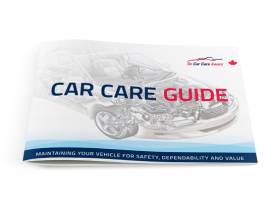 A 74-page booklet written for the average Canadian driver. Available for individual purchase or at discounted rates for bulk orders (select quantity in the drop-down menu). Industry sponsors can order branded guides (see separate store item). 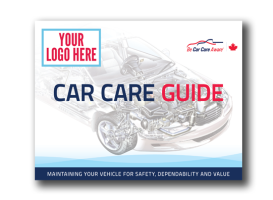 Add your logo on the front of each Car Care Guide and contact information on the back and use as an in-shop promotional tool. Available in French and English. The per unit cost drops in bulk quantities. To place larger bulk orders than seen here, please contact us. For BCCA program sponsors only. 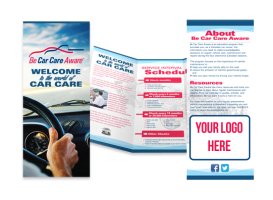 Add your logo and contact information on these Service Interval Brochures – perfect for handing out with an invoice or service inspection sheet. Available in French and English. The per unit cost drops in bulk quantities. To place larger bulk orders than seen here, please contact us. For BCCA program sponsors only. The minimum order quantity is 500. Working in an automotive service and repair shop requires certain safety measures. 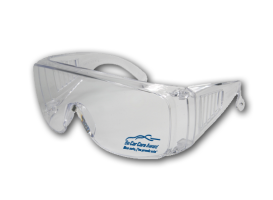 Protect your eyes and show customers you are part of the Be Car Care Aware program by purchasing these branded safety glasses. 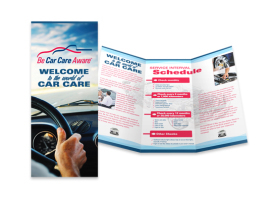 Perfect for your glove box or for shops to provide to customers, this six-fold brochure provides quick reference information on when to service your vehicle. Available for individual purchase or at discounted rates per unit for bulk orders (select quantity in the drop-down menu). Industry sponsors can order branded brochures (see separate store item). *Please note that a single brochure is $2.50. 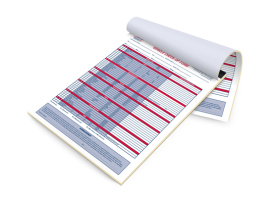 Use this 15×20” laminated counter mat to discuss maintenance needs with your customers. 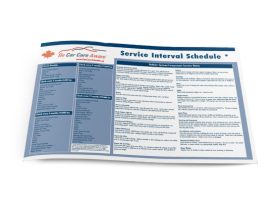 The service notes and service interval schedule can help you to explain upcoming maintenance requirements to book future appointments. 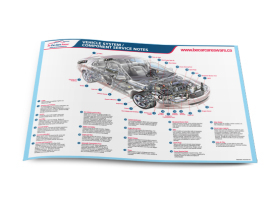 This 17×22” poster is a great tool for explaining maintenance to customers. The vehicle schematic can help you point out what parts and systems require maintenance while the service notes can help to back-up your recommendations. Complete one of these triplicate forms when inspecting a vehicle to indicate what work needs to be done. Give a copy to the customer and keep one for your records to help track service opportunities. Forms come in shrink-wrapped packages of 50. (See drop down menu for bulk orders).